The Gold Rush of 1848 was among the events that led to the rapid growth of San Francisco (previously Yerbe Buena). Merchants moved to support the area’s growth by shipping all manner of items. Paradoxically, due to the gold rush, many sea captains lost control of their crews, as the sailors simply walked off their ships and headed to the gold mines upon arriving in port. That left the ship captains no way to offload their cargo, and in a very short time, hundreds of ships clogged the harbor, abandoned and full. About that time, a regiment of soldiers was released in San Francisco following service in the Mexican-American War. 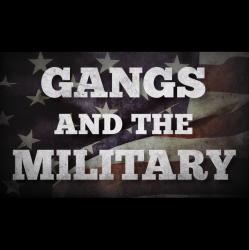 Many of the veterans had been members or associates of the Bowery and Five Points gangs in New York. The former gang members knew a lot about discipline, and were hired by local businessmen to round up the sailors who had fled their responsibilities. 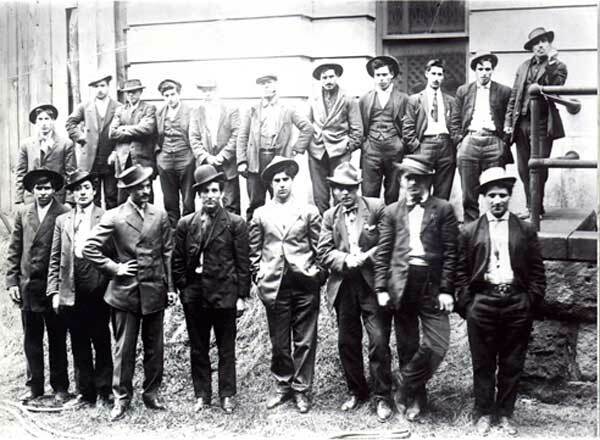 As their reputation grew the group members called themselves the Hounds, formed to “protect American citizens against Spanish-speaking foreigners” during the Gold Rush. Photo: Unknown – http://www.museumsyndicate.com/item.php?item=73469. Public Domain. The gold rush had excited people from all over the world, and treasure-seekers from the other side of the American continent and Europe rushed to set up mining operations, while people from Central and South America got started mining. The existence of those foreigners incensed the Hounds, who attacked many of them, claiming their motivation for beating and stabbing their victims was patriotism. By 1849, the Hounds adopted the name of San Francisco Society of Regulators and demanded all San Franciscans pay them for protecting the city. Often they would order drinks at a bar and suggest the bartender collect the debt from the city. Sam Roberts the leader of the group, prompted the downfall of the Hounds with a fit of jealousy. He had fallen for a Chilean prostitute, and when he found her one day in the company of another man, Roberts beat him badly. That night, Roberts and the Hounds caused a lot of damage in town, prompting responsible citizens to “take back” their city. Those special deputies arrested about twenty members of the Hounds, including Roberts. Although Roberts and eight others were convicted, there was no record of him actually serving his sentence. Other members of the Hounds escaped, and all apparently ceased their criminal behavior. The Hounds of San Francisco specialized in racist attacks on Chileans, Peruvians and Mexicans. Their assaults led to the first vigilante movement.